Creating Unique Award winning Architectural Designs for each client. Often duplicated but never equaled, the creative excellence and rich heritage of J.L. Thompson Design began over 30 years ago. Experience uncompromising attention to detail and architectural design that has truly set the standard from coast to coast. View our virtual home tours and full color renderings on our website! Feel free to reach out to us, we would love to hear from you! 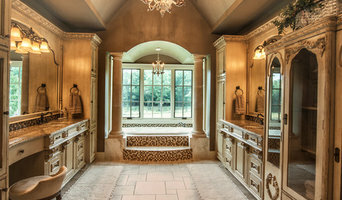 Custom Home Builder and Remodeler in the Springfield and Branson Missouri area. 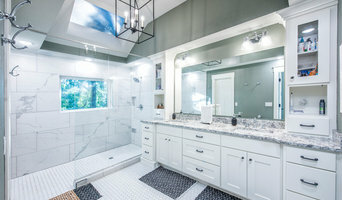 Your house design or remodel is more than just drawing walls. I design living spaces with a true spacial concept to your exact requirements and comfort. Your style of architecture is unique to you, so let me put a great package together with real life renders so that your vision can be communicated perfectly. I am not complete until you are satisfied. By now, you have researched many plans, websites, and other sources of information, looking for that “one” plan that suites you and your family's desires. And if you’re like most families, you don’t have the time to browse through the endless websites, magazines and photos trying to mesh it all into one recipe all will like. This is where I come in. 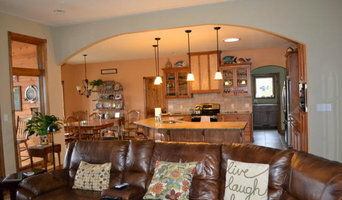 Let me piece everything together producing your dream home out of your collage of ideas. We (you and I) will then shape all your ideas and personalize it to the functionality you need, creating the home you’ve always envisioned. Because designing your home is more than just drawing walls to me, its helping your dreams become a reality.. IDeA was founded to respond to the need to bring relevant architectural thought and consideration to the region. Client consultation and input is central to the architectural process, as it is the performance of the building, adjacencies of the interior, and relationship to the exterior that informs the majority of design decisions. The architectural "style" for each project is not predetermined, rather it is dependent upon the surrounding context, environment, and client preferences. Technical accuracy is of the utmost importance for any architectural project. Ultimate client satisfaction is dependent on the ability of a building to perform. The technical expertise provided will ensure weather protection, heating and cooling comfort, and quality of light. Without people, a home is just walls. Your story, your memories, and your life are what transform a space into a home. That’s why connecting with our clients is our first priority. To create a home that fits your lifestyle, we have to first know you. We help our clients develop their vision as we strategically integrate function, flow, and visual appeal into the final design. Russell Architects provides architectural planning, design, and consulting services to a variety of clients. With a client-focused commitment, we strive to provide exceptional professional service and design, while meeting our client's budget and schedule. 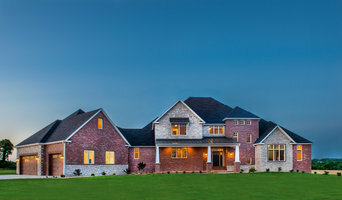 NWA CAD Services was created in 2008, in an effort to affordably serve the Residential and Custom Design needs of Northwest Arkansas and the surrounding areas. We provide a wide variety of affordable, professional quality Drafting & Design services for Architecture, Engineering, Construction, Manufacturing and more. We have been providing construction documents to satisfied clients for years. Whether you need simple 2D CAD plans or advanced 3D BIM modeling, we have the experience, knowledge and contacts needed to get your project done right. In addition to our Design & Drafting services, we also offer Creative Services such as Photography, Videography, Licensed UAS (Drone) Operations, Post Production & Editing, 3D Printing, Prototyping, as well as Graphic and Web Design.